Platinum Blue Dream is a twist on the uber-popular Blue Dream strain, a sativa dominant hybrid born from Blueberry and Haze parents. The Platinum version runs along similar lines as the original Blue Dream – uplifting yet mellow, but it is said to lean slightly more toward the indica like body effect of its Blueberry parent. Blue Dream, of course, is one of the most mind-blowingly popular strains on the market, so this is an exciting chance to try a different take on this true A-list classic. Among the many reasons for the popularity of Blue Dream is its ability to uplift one’s mood and help alleviate depression and stress, ideal for lifting the midwinter slump and any lingering stress from the holiday season. For the cider, we warmed up a batch of California-based R.W. Knudsen’s Cider and Spice - with a little extra cinnamon added – as well as a dash of Four Rose’s Single Barrel Kentucky Bourbon. 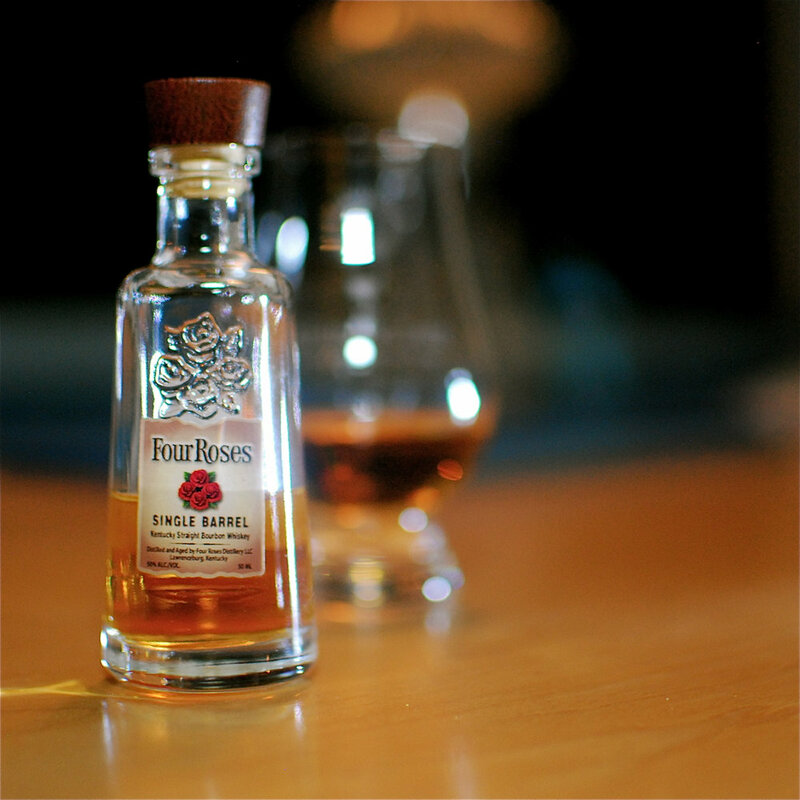 Four Roses has earned the distinction of American whisky distillery of the year several times, and its Single Barrel is considered the top of the line among their regular offerings. Their Single Barrel has won a range of awards and accolades and is sought after for its complexity and smooth balance between sweet and spicy notes. The Single Barrel will run you about $40 for a bottle, so if you’re looking to spend a bit less try their Small Batch. It is just as highly regarded but carries a somewhat lower price tag of just over $30. While it is less complex, it is considered smoother, more traditional, and great for mixing. Right out of the jar, you can tell that this batch of Blue Dream offers the best of the strain’s familiar bouquet of light, fruity, almost candy-like sweetness and fresh lemony notes. The first, fresh green hit from the vaporizer combines the traditional Blue Dream aroma with notes of berry and lighter notes of citrus. However, this batch also presents lively piney and herbal overtones, more vegetative aromas that likely reflect the outdoor origins of this take on Blue Dream. The overall effect is multilayered and complex, but remains as light, fun, and refreshing as fans have come to expect from this superstar strain. For the cider, we get a crisp and spicy profile as expected, but the deep flavors of the bourbon add a whole new dimension. The spicy rye notes in the Four Roses complements the cinnamon and allspice in the cider, blending together to form a perfect winter spice aroma that is both bold and warming. At the same time, the sweet honey and caramel flavors of the bourbon lend a sweetness redolent of caramel apple. The flavors combine to eliminate nearly all the burn, and leave behind a truly smooth finish. The actual warmth of the cider accentuates the warming alcohol sensation from the bourbon, creating a perfect drink for chilly winter days. On the second hit of Blue Dream, the vapor brings out the spicy and herbal notes of the cider, letting those warm spice notes linger on the tongue. When it comes to the effect, the rather heavy alcohol content of the cider tempers the sativa stimulation that is possible with Blue Dream, leaving only the strain’s trademark mood boost. The Blue Dream also leaves you awake and alert. With an uplifting strain like this, instead of a heavy indica, you’ll have a better chance of staying awake and functional for a while. Together, this freewheeling pairing is an ideal middle ground for warming up, socializing, or chasing off midwinter depression.